Dr. Avinash Singh is an experienced Dentist in UTTAM NAGAR area of Delhi. He has been a successful Dentist for the last 10 years. He studied and completed BACHELOR OF DENTAL SURGERY- BDS, MASTER OF DENTAL SURGERY(MDS- ORAL MEDICINE AND RADIOLOGY). You can meet Dr. Avinash Singh personally at AMAR DENTAL CLINIC in UTTAM NAGAR, Delhi. He has been reviewed by 18 patients. Don?t wait in a queue, book an instant appointment online with Dr. Avinash Singh on Lybrate.com. Lybrate.com has a nexus of the most experienced Dentists in India. You will find Dentists with more than 34 years of experience on Lybrate.com. Find the best Dentists online in NEW DELHI. View the profile of medical specialists and their reviews from other patients to make an informed decision. Dr. Avinash Singh provides answers that are very helpful. thnk Uh aLot Dr.
Sir, my aunt's gums are inflamed. Please sir can you tell me what should I do. Can you please tell me the treatment. Inflammation can be brought down by scaling of teeth. But before that thorough examination by dentist is necessary. Dental veneers are also known as porcelain veneers are very thin, artificially made shell like things found in shades of the colour of your teeth. This material is designed to cover up the tooth surface in order to improve its appearance. These materials are changed according to your teeth colour, size and shape. Dental veneers can solve many problems and especially better the look of your teeth. The removal or insertion of veneers can make your teeth look attractive. If your teeth are discoloured then veneers can fix it. Teeth stains can be the result of many things like smoking, alcohol, drugs, medicines etc. Veneers replace stained teeth and solve all your problems. If your teeth are frayed down then veneers can be the solution. If your teeth are broken or chipped then it can solve the problem. Sometimes your teeth grow uneven, misaligned, badly shaped; dental veneers solve that problem too. Dental veneers specifically work to fill the gaps between your teeth. Dental veneers have proven to be a beneficial process in solving many of your dental problems. But like every medical method that comes with some advantage and disadvantage, dental veneers too have a few negative points. It provides a presentable tooth appearance. The tissues in your gum tolerate porcelain very well. The porcelain dental veneer is stain resistant. You can select the colour of the veneer to make your teeth whiter. You can also change the shape of your teeth. Diagnosis: First, you need to detect the problem area before you have dental veneers. Treatment: You need to have an X-ray of your teeth and mouth before getting dental veneers. Preparation: Between your diagnosis and treatment while your tooth enamel is a subject of examination you should take proper care of your teeth. If you wish to discuss about any specific problem, you can consult a dentist. Tooth decay is treated removing the damaged portion of your tooth and substituting it with ‘fillings’. Fillings can be made up of different materials such as silver amalgam, porcelain, gold or even plastic. Hence these plastic, tooth-colored, glass mixtures that are used to restore decayed teeth are known as composite fillings. Composites are also used for changing the color of or reshaping disfigured teeth. The dentist sets the composite in layers employing a specialized UV Laser light to harden each of the layers. After this, the dentist moulds the composite to fit in your tooth. The composite is then polished to prevent premature staining or wearing out of the composite. Good shaping and polishing of the tooth to produces a virtually invisible restoration. When are composite fillings used? White fillings can be used for cosmetic options as well. Short or spaced out teeth: Composites are able to reshape any deformed teeth or add length to a tooth. Cracked or chipped teeth: It can fill in any chips or worn down teeth to appear healthy yet again. Preventive dentistry: The molars in the back have deep groves on the sides that food particles can get trapped in causing infection. The composite can be filled in those areas as a preventative. The shade of the composite filling is well suited to match the color of your existing teeth. They can chemically bond to your tooth structure, rendering additional support. Composite fillings are also used to mend broken or cracked teeth. With composite filling, not much of your tooth structure needs to be taken off as compared to amalgam fillings. Composite fillings wear faster as compared to silver fillings should be replaced within 3-7 years. Need regular follow up care or maintenance as they are subject to microleakage. If you wish to discuss about any specific problem, you can consult a dentist. Can enamel hypodecalcification have some treatment? If yes then what is the procedure and can it be permanent? Fluorides paste can work it is mild. Otherwise cosmetic treatment is best enamel decalcification eg composite fillings. I discontinued my braces treatment at end of 2015 and now again I started to continue my treatment but dentist said that your old doctor treated your teeth very badly &they get very sensitive and weak. She treating me very slowly becozz my teeth is very weak. Is there any solution to get back my teeth as early as possible? Give me a solution (food) for my good teeth. Mera Gala aur muh sukh jata he Phir pani pita hu to achha lagta he Phir 1 hours ke baad phir galla aur muh sukh jata hu please help. Apko koi aisa ointment lena padega Jo apka muh sukhne na de par isse pehle dentist ko dikhana zaruri hai. Bina chek up ke koi dawai nhi di ja skti. 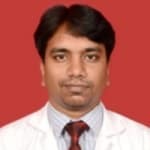 Hello doctor, I often get mouth ulcers badly and it pains very much , I need to get rid of it permanently , please provide me a solution for it , waiting for your feedback Now days I have started using B complex Capsule also , is there any other prevention method , please confirm. Recurrent ulcers have only symptomatic treatment and they heal by themselves. Try mild intraoral steroidal ointments. It can give quick relief from ulcers. Take care. Hi I have problem in teeth which felling week and always feeling pain please sugest me some useful tips and also going gapped. Dear lybrate-user. You are feeling weakness in teeth probably due to gum infection which causes pain and gapping. You need to show it to a qualified dentist. Our heart is very much related to gums health because bacterias forming plaque gets entry into bloodstream through unhealthy gums and can form clot in circulation of blood. So keep your gums healthy and regularly visit your dentist.